About 4 years ago I developed an allergy to wheat. I didn’t even know you could develop allergies as an adult but apparently you can. Pizza was one the foods I missed the most. This one really hits the spot. 1 6 oz. container goat cheese. 2. 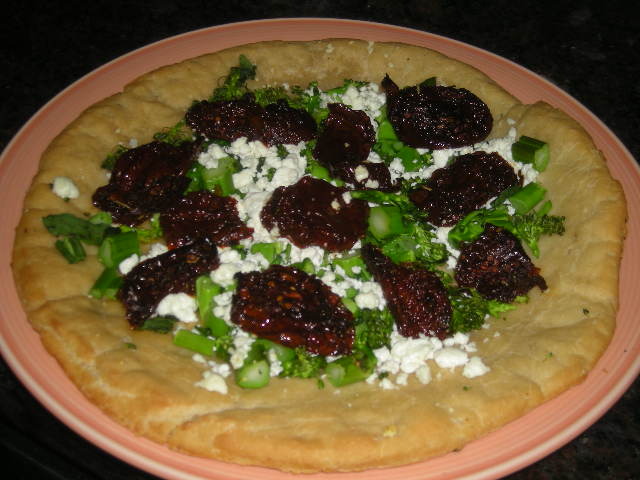 Spread half of the tomatoes, cheese and broccolini on each crust. 3. Bake at 350 degrees for 15 minutes.